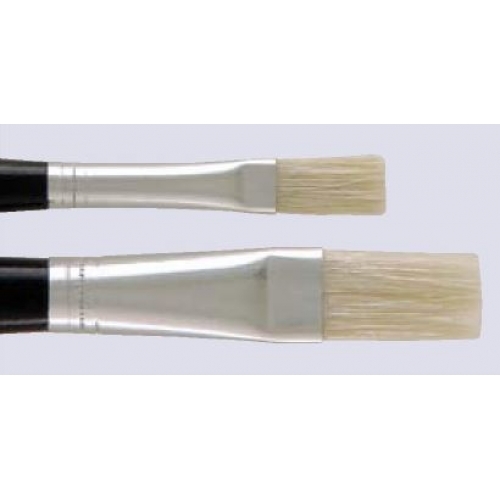 White Bristle Brushes, Flat, Short length black lacquered handle offers more control. Natural flagged tips made of high quality white hog bristles. Seamless aluminium rust-proof ferrules.